IN PURSUIT OF EXPRESSION: IT'S THAT TIME AGAIN! Last year I wrote about losing my music festival virginity at Download Festival, which well and truly gave me the "festival bug" resulting in me convincing a couple of my friends that it would be a good idea to go to another music festival like a month later. 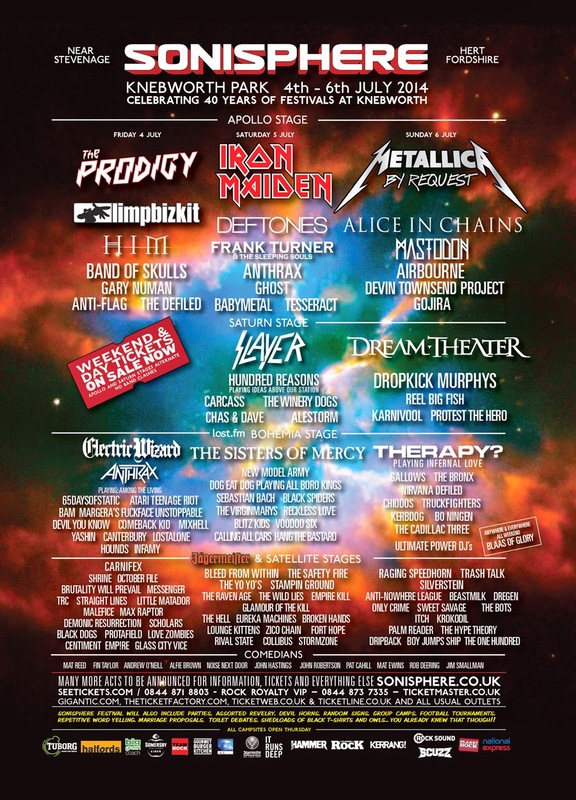 THIS YEAR we didn't go to Download (It was a couple weeks ago), THIS YEAR we are going to Sonisphere Festival, which starts tomorrow!